The holidays are a great opportunity to relax and enjoy time with family and friends. Most often families, friends, or neighbors will spend time together at a Christmas party. This of course requires a host to take care of the planning and preparations. Hosting a party can often come with unwanted stress, high costs of supplies and decor, and huge time consumption. It takes much time and energy to create an atmosphere that will bring comfort and joy to all your guests. To help eliminate some of these issues it is important to plan for and keep a budget as well as keep it as simple and clutter free as possible. 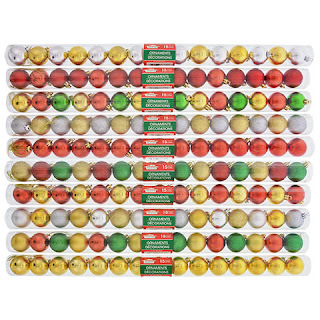 Dollar Tree has everything you will need to plan a great holiday party on a budget. 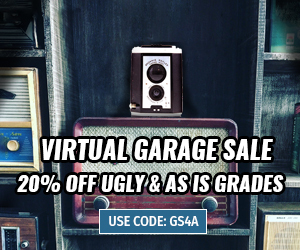 Everything from decor to dinnerware only cost a dollar. 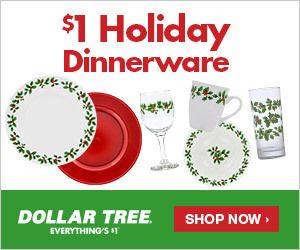 Here are a few of my favorite Dollar Tree products to use for hosting a holiday party. 1. 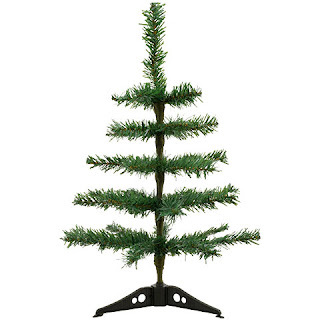 Table-Top Artificial Christmas Trees, 18 inch. Keep a Christmas tree in every room of the house! These 18-in. artificial trees have 35 fold-out tips and are the perfect size to stand upon a table or counter and are ready to decorate. Simply put the stand together, fluff out the branches, and add your favorite ornaments and lights. The trees come packaged individually and the size also makes them perfect for bedrooms, apartments, stores, churches, offices, and lofts. 2. Christmas House Shiny, Matte, and Glittered 40mm. Ball Ornaments, 15-ct. Packs. Classic round ornaments give your holidays some sparkle and shine! Designed to catch and reflect the light, they’re the perfect addition to all your holiday decorating — trees, wreaths, garlands, mantels, centerpieces, and more. 3. Christmas House Glittery Gift Ornaments. 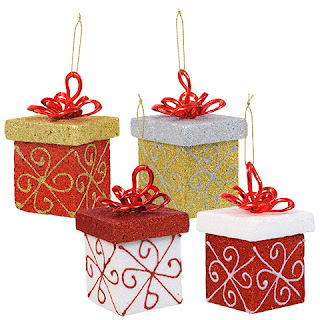 Adorable sparkling gift-box ornaments make the perfect addition to your holiday décor! 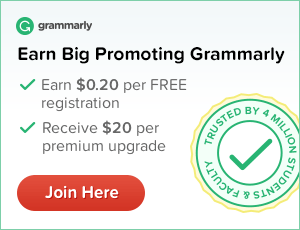 Large 2.5-in. ornaments are covered in sparkling glitter, and topped with a red ribbon. Perfect accent for trees, wreaths, garland, centerpieces, and more. 4. 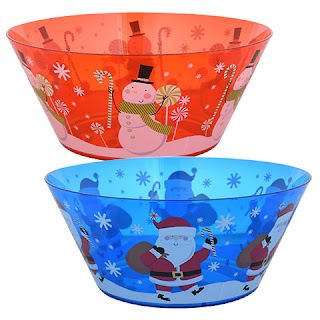 Plastic Printed Christmas Serving Bowls. Add a little holiday flair to your snacks this winter! These large serving bowls are perfect for serving up chips, pretzels, dip, snack mixes, and more at your next holiday gathering. 5. 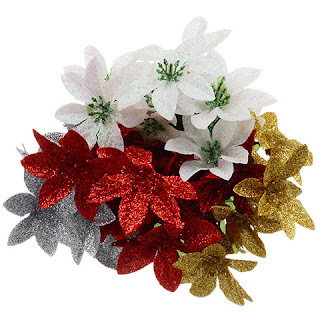 5-Stem Christmas House Glittered Poinsettia Bushes, 13 in. Add some extra sparkle to holiday décor! Plastic poinsettias with glittered leaf and bud accents are a spectacular addition to centerpieces, wreaths, trees, mantels, and arrangements, plus they have flexible wired stems for easy bending and shaping. 6. Holly Berry Clear Glass Coolers. In need of an affordable, elegant set of holiday dinnerware? Start with these lovely 16-oz. 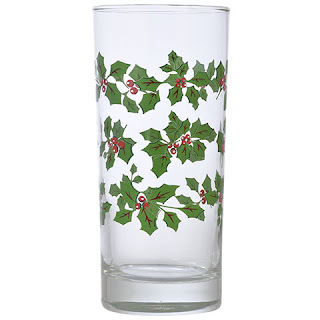 clear glass coolers adorned with festive holly leaves and berries. Each cooler is sturdy enough for holiday meals at home, caterers, and restaurants. They also pair perfectly with the rest of our holly berry holiday dinnerware. 7. Holly Berry White Stoneware Dinner Plates, 10.5 in. In need of an affordable, elegant set of holiday dinnerware? Start with these lovely 10.5-in. 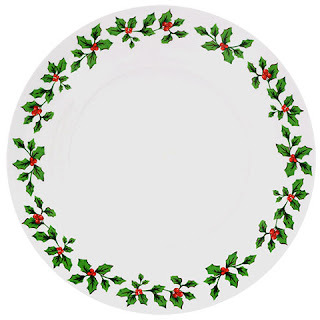 white dinner plates adorned with festive holly leaves and berries around the outer edge as well as in the center. Each plate is made of durable stoneware, making them perfect not only for holiday meals at home, but also for caterers, and restaurants. 8. Holly Berry White Stoneware Mugs, 12 oz. In need of an affordable, elegant set of holiday dinnerware? Start with these lovely 12-oz. 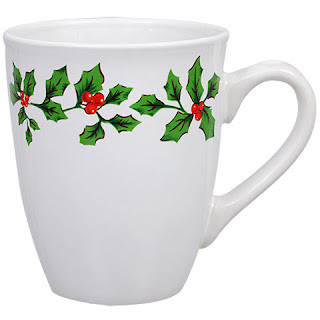 white mugs adorned with festive holly leaves and berries around the upper edge. Each mug is made of durable stoneware, making them perfect not only for holiday meals at home, but also for caterers, and restaurants. 9. 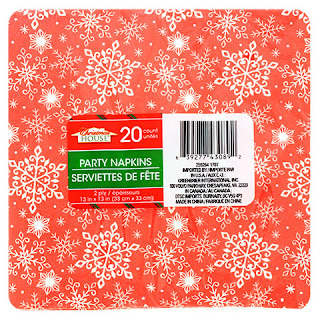 Christmas House Red Paper Napkins with Snowflakes, 13 in., 20-ct. Packs. Two-ply paper napkins with an adorable snowflake design will add holiday cheer to your celebration! Plus, they’re the perfect companion to meals and hors d’oeuvres. They are also easy to mix and match with our other solid-color party tableware. 10. Plastic Solar-Powered Fluttering Holiday Scenes. 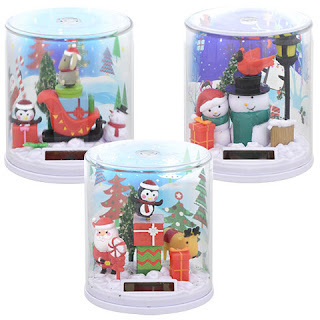 Add some fun to your desks and windowsills with these solar-powered holiday scenes. When exposed to sunlight, these adorable winter scenes come to life with fluttering animals. A playful accent to any room, they're perfect for resale at toy and novelty stores, gift shops, convenience stores, and pharmacies. 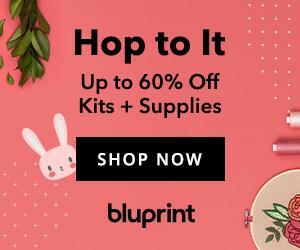 Have you ever hosted a party using Dollar Tree Holiday supplies? Wow these selections are so adorable and perfectly Christmas themed! I love all the crockery sets most of all! This is such great decor! I've always been a fan of Dollar Tree. You can find amazing stuff there. Oh wow it looks like they have so many different things on sale for the holidays this year and they sound like they are really pocket friendly. I love the Dollar Tree. I visit at least once a week and always find great deals. I always find a bunch of great items when I shop at Dollar Tree. They have a great selection of Holiday items to choose from. These are really cute pieces! I like to hit up my Dollar Store when looking for affordable decorating ideas! These are great! We have a Poundland in the UK and I often go there to pick up decor items on a budget! We are already talking about Christmas?? Wow this is amazing and great tips to get started with the holiday decor. A dollar store party is doable for any theme with a little patience and creativity. I have a few stores by me and they even have some different products. I think more people should take advantage of the prices available at the Dollar store. That's such a good idea and it can be really easy to do this with all their awesome supplies! Good tips! I haven't shopped there but all these seem great. I don't know how I am going to decorate the house with a toddler. These are awesome home decors. I love the solar-powered holiday scenes. 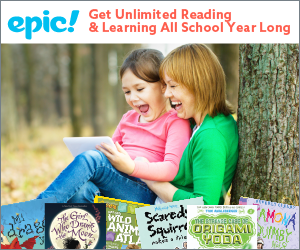 Those are some great finds and affordable too. I love the Plastic Solar-Powered Fluttering Holiday Scenes and also the Holly Berry tableware. They really have more than anyone would think. You can host an amazing party with these! haha...you had me at dollar tree! definitely where I'd buy supplies for a party. One just opened up near me. I was so happy. Wow! 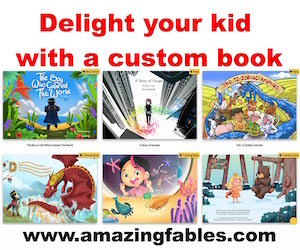 These selections are awesome! I’m always excited for Christmas time! these selections are very creative and perfect to host a holiday party . What great holiday finds! The Dollar Tree is an excellent place to pick up holiday essentials.